Are you paying so much for your health insurance? With Vista Health Solutions you can find Assurant Health insurance quotes and other plans where you need not spend too much. We have the most up to date quoting engine making it very easy for you to shop for a plan. And if you need more information about health care and health insurance, our website has a lot of helpful resources. We have health plan options for everyone- self-employed individuals, working individuals with no health benefits or people with pre-existing condition who are looking to get covered. Vista Health Solutions work with leading health insurers in every state like Assurant Health. Assurant Health is a part of a family of providers offering specialized insurance products and related services namely: Assurant Solutions, Assurant Specialty Property, Assurant Health and Assurant Employee Benefits. They were created in 1892 and they operate in North America and abroad. Assurant Health is headquartered in Milwaukee, Wisconsin. 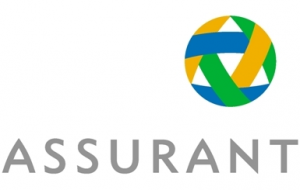 Assurant Health insurance products include individual medical, small group, short term, student health insurance products and consumer-choice products. Assurant Health insurance plans are underwritten by Fortis Insurance Co., John Alden Life Insurance Co., and Fortis Benefits Insurance Co.
Assurant’s main goal is to give its members a selection of health plans at a reasonable price. Alongside this goal is their mission to give their members a financial blanket as well as care for their health. Assurant offers plans to small business, individuals and families. Their products can be purchased in 48 states. These products include: Solo Medical (i.e. CoreMed), Fixed Benefit, Assurant Supplant Coverage (i.e. critical illnesses such as cancer), Small Group and Short-Term Medical.